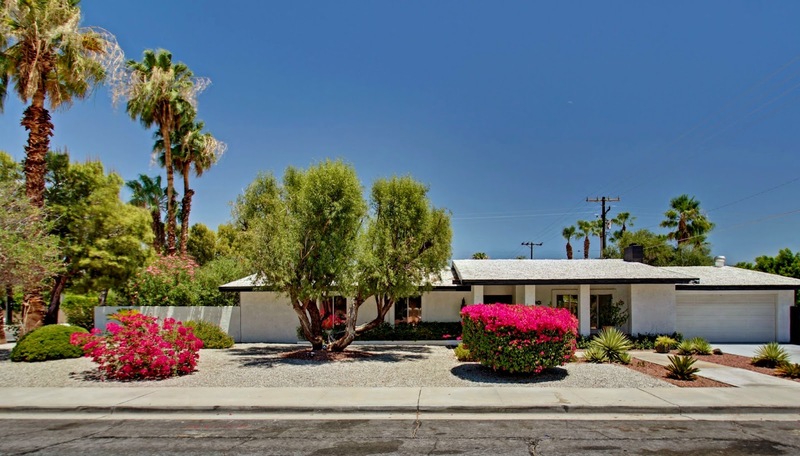 Large home on a generous sized quarter acre lot ideally located in the heart of Palm Springs. Abundant windows and sliding doors provide a very large and bright home with views of the mountains and the sparkling pool. The double entry leads you into a living area with double beamed vaulted ceiling accentuated with a floor to ceiling brick gas fireplace creating a perfect living area for all lifestyles. Large eat in kitchen easily accommodates 6 seat kitchen table with oversized window facing east for year round usability. Family room, kitchen, dining area, and master bedroom all overlook the oversized 16' x 34' swimming pool located in a private walled oasis with an east facing 10' x 40' covered patio creating the true Palm Springs year round outdoor lifestyle.